Chocolate Meringue Pie has a smooth, silky, almost ganache-like filling with a bit of an unusual, divine Meringue topping – so easy to make! Chocolate, chocolate ! What would we do without any chocolate ?? Right, maybe have a thinner waistline … One bite of this Chocolate Meringue Pie and you will forget about your waistline instantly – promise ! This is definitely not a Pie you want to make in a hurry. The Meringue topping is also a bit unusual and not the same as when you bake a Lemon Meringue, which has a somewhat chewiness to the meringue bit. This topping is more dried out and also have a feather light cake texture, which is wonderful, by the way. To describe the filling, I would say it is an ultra creamy, melt-in-the-mouth Cream filling and so very, very chocolaty ! 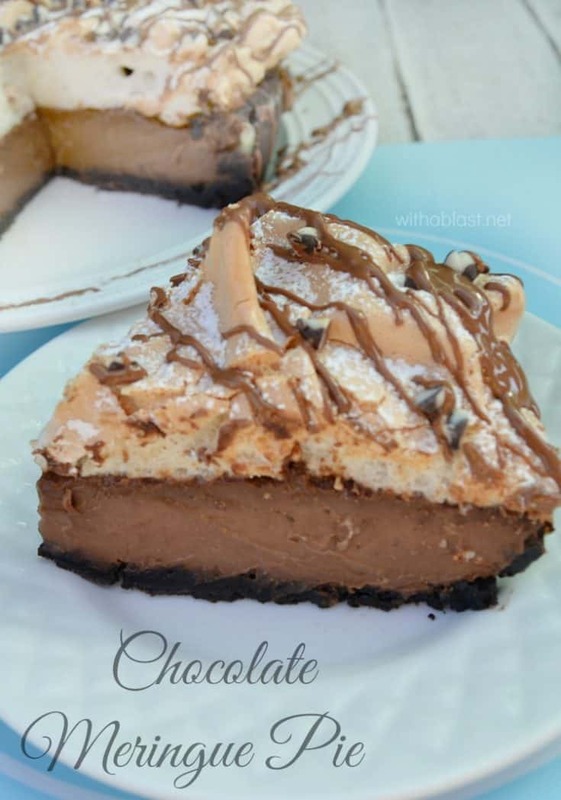 Every bite is like a small piece of silky, chocolate heaven and the crust rounds everything off very nicely. So, if you want this pie tomorrow night, you better make it tonight ! Patience and you will taste the Chocolate Meringue Pie as it is meant to be enjoyed. Think of it as a smooth, silky and a bit lighter chocolate ganache. Chocolate Meringue Pie has a smooth, silky, almost ganache-like filling with a bit of an unusual, divine Meringue topping - so easy to make! 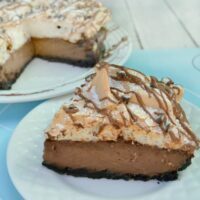 Chocolate Meringue Pie is one of my favorites! This one looks fabulous and I love how you decorated it! 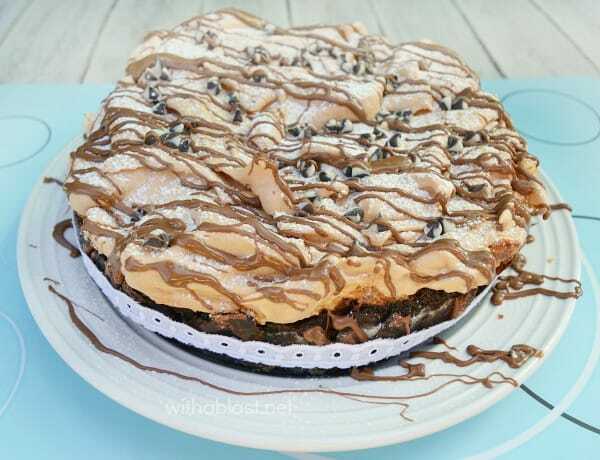 I really like the combination of chocolate an meringue. This has always been my favorite pie. Your version looks magnificent! Thanks for the recipe. Wow!! This is a stunning dessert! It really is a chocolate lovers dream. Dying to try this! Yum! I love the addition of the meringue layer to lighten it up at the same time making the dessert more decadent. Thank you so much for linking up your recipe at This Is How We Roll Thursday! I have never heard of chocolate meringue pie, oh lemon! your looks amazing, yum!! yum!! I have never seen a Chocolate Meringue Pie before, but it sounds and looks really good. I will be trying this for sure. Thank you for sharing with the Clever Chicks Blog Hop! I hope you’ll join us again next week! Normally I want my chocolate fix right now. But I would plan ahead for a pie that looks like this! Thank you for sharing, Linda. I will be making this for Easter. Looks amazing! Is it difficult to remove it from the cake pan? Any suggestions? This was one of my childhood favorite recipes Linda! Pinned and shared!